Some flavors evoke immediate thoughts of freshness like the sweet bite of spearmint, and the licorice undertones of fennel. Adding velvety texture and billowing steam creates an element of surprise. 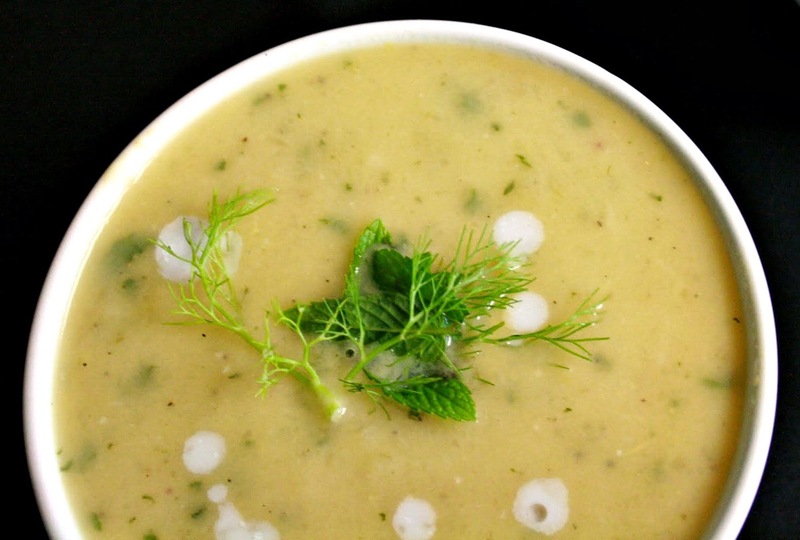 Vegan Fennel and Mint Soup guarantees a happy revelation for your taste buds. You might expect a cold spring-like bite, but it feels more like a creamy bowl of comfort. It is eye catching and wonderfully consoling. Easy to cook and easy to eat, this soup is a must try on a rainy spring day. In a heavy soup pot on medium high heat cook sliced fennel, shallots, garlic, and potato in olive oil until slightly tender; about 5 minutes. Salt and pepper to taste. Reduce heat to low. Add vegetable stock, cover and cook until vegetables are translucent; about 25-30 minutes. Turn off heat. Stir in light coconut milk (be sure the soup does not come to a boil after coconut milk is added). With an immersion blender or blender, blend the soup until it is completely smooth, adjusting salt and pepper to taste. At the very end stir in fresh mint. Garnish with fennel fronds and fresh mint. Serve warm as a main dish or cold as a refreshing first course. Your pictures are wonderful and I bet the flavor combonations are out of this world! Have a fantastic weekend! This looks delicious and love that it is vegan. Great photos-the fennel peeping up in the top photo is so cute. I bet this is really good, saving the recipe. Have a great weekend. It's a rainy spring day here, too...soup weather for sure! Gorgeous photo, Kimmi, of such a yummy soup! This is the most beautiful soup photo I've ever seen. I want to make it just from the photos! This soup is a very unique combination of flavors, I am sitting here wondering how tasty one spoonful of this would be-yum! Also, very enticing photo-that black background really does make that soup stand out. Hope you are enjoying the weekend! I love your description of this soup - it makes me want to eat a bowl right now. Sounds like the perfect spring dish. These are some of the best pics I've seen you take (and I always love your photography). Just gorgeous! I love this! Especially that you have used coconut milk. I can only imagine how delicious and complex the flavor must be with this delicious combination of ingredients! This is a very creative dish (as usual)! I love all the different flavors in this, plus the creaminess. This is healthy, and a perfect spring soup that isn't too heavy. Great job and gorgeous photos! That looks so refreshing--love how it looks with the fennel frond garnish! That's comfort in a bowl! What a gorgeous looking soup! LOVE your first picture. A mint-y soup would really be great when the raindrops start to fall...I am so excited to try this. 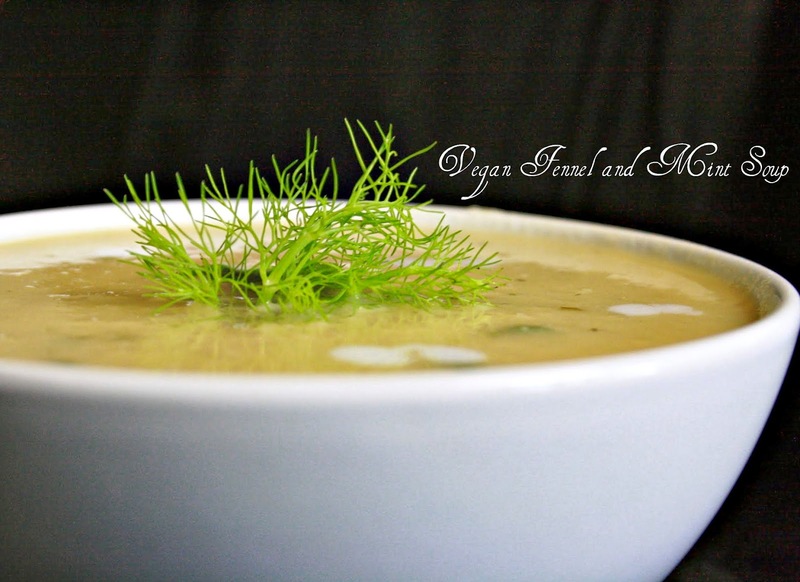 Ok, I'm not the greatest fan of fennel but this unusual soup looks so delicious I am just going to have to try it. Great photos! What amazing flavors, fennel, mint and coconut milk! !It is a rainy day here and I would love to sip that soup right now :)Bookmarked to try very soon!! It's getting a lot warmer during the day, but by evening the temperature usually drops down and it is still cold at night. This soup looks nice. I love fennel bulbs (that special flavor and fragrance is addictive) and potatoes. This soup sounds and looks delicious. And I love the first photo! So unique and great shot! I would love a bowl of that soup even if it's getting hot here in TX. Love the combination of flavors, Kimmi! I love soup, and your soup looks wonderful! Just been browsing through your site and your food photography is beautiful!